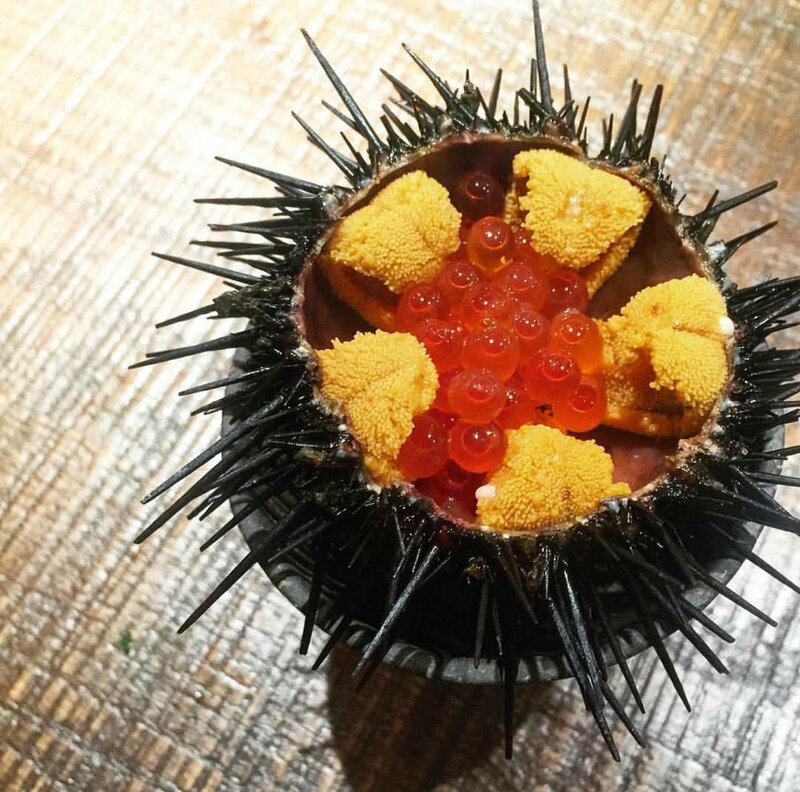 This site is dedicated to covering the best and most under-appreciated places to eat & drink in Hong Kong. We’re going through something of a Korean invasion here in Hong Kong. Korean-themed spots are popping up like daisies all across our city, from family-friendly barbecue joints to stylish soju bars. Some of them are riding on the popularity of K-pop, K-drama, and K-et cetera, but quite a few are worth checking out. Here are the ten we managed to get through before falling into a cheese-and-kimchi coma. This buzzy Harbour City spot, the first HK branch of an established Korean chain, bills itself as a “Korean izakaya.” That means they focus on the kind of food you want to eat while getting colorfully plastered on equally colorful makgeolli cocktails (served, of course, in mason jars). The young and stylish clientele take down piles of purple potato chips, curried pork belly, and deep-fried squid with cheese to a peppy K-Pop soundtrack. There’s also a somewhat incongruous vegan menu for those so inclined. JINJUU is the latest outpost in the growing empire of Korean-American celebrity chef Judy Joo. She’s into combining both sides of her heritage into crazy concoctions like Snickers hotteok and bagels with kimchi cream cheese, so it’s no surprise that JINJUU’s signature is a longstanding Korean-American fusion favorite: fried chicken. Here, it comes with two bottles of hot sauce, which like all their condiments is homemade and MSG free. Sorabol may be the most star-studded Korean restaurant in Hong Kong, with three Michelin mentions, dozens of celebrity and media endorsements, and even a Health Department “Cleanest Restaurant” trophy to its name. They’ve been doing the farm-to-table thing since way before it was cool — their organic farm in the mountains of Huizhou supplies all three Hong Kong locations. Those organic veggies show up braised, brined, kimchi’d, and/or fried in the extensive banchan that comes before your barbecue. 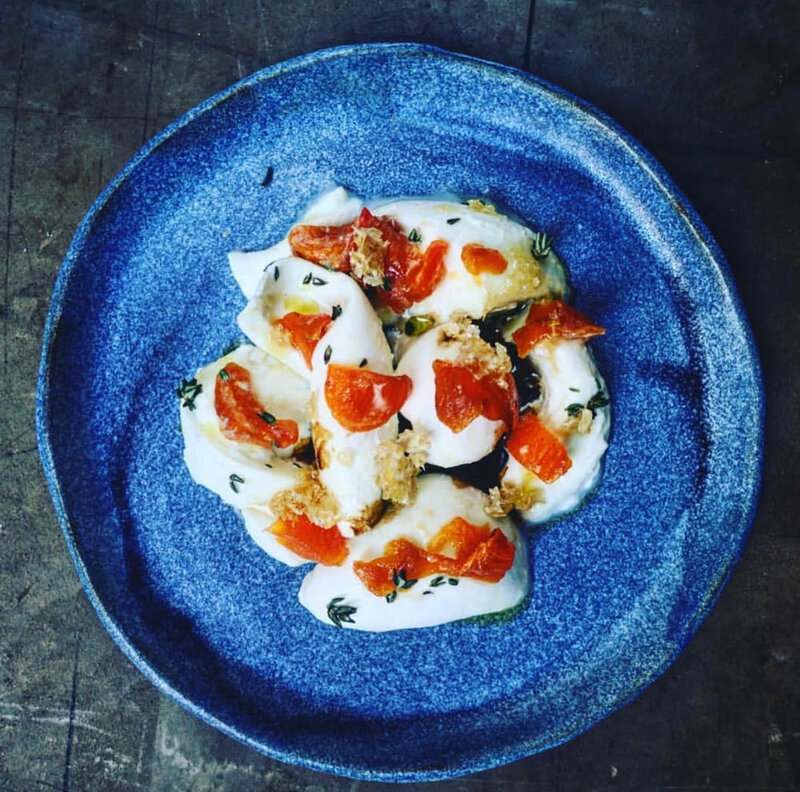 MOMOJEIN’s mission is to apply the airy, minimalist aesthetic of new Nordic cuisine to Korean food without toning down any of the meaty decadence of your favorites. The result is a varied but uniformly picturesque array of small plates, including the Noma-esque “Myungran Forest” and straight-from-the-streets hotteok stuffed with beef instead of sugared peanuts. Round off the meal with an equally pretty yuzu cheesecake or black sesame bingsu. Seoul Bros is going for accessible, fast-casual Korean fusion in their hole in the wall space in SoHo. In practice, this means they stuff kimchi into every drunk food they can think of, from quesadillas to cheese fries, and serve it all in paper-lined plastic baskets. 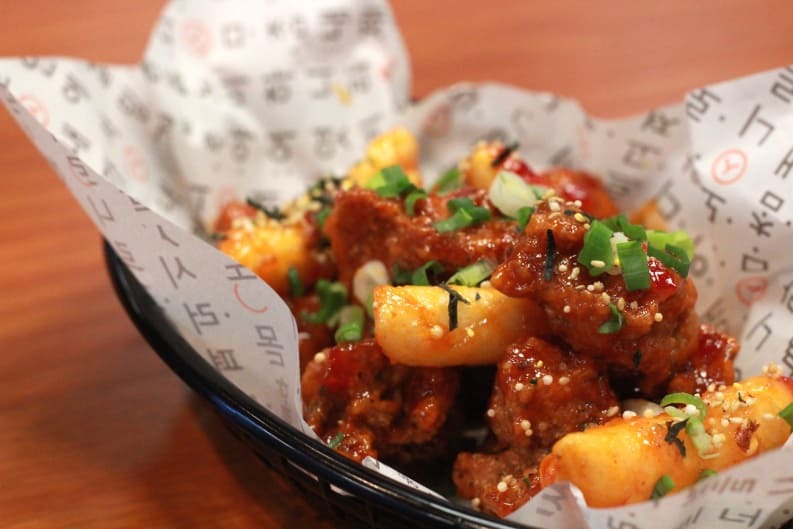 Best of all, the Bros have partnered with the NGO Foodlink to donate some of their proceeds to Hong Kong’s underprivileged kids, so there’s no guilt in polishing off another round of bacon-cheese-kimchi fries. The owners of this industrial-chic new place are conspicuously non-Korean, but don’t hold that against them — they grew up surrounded by Korean food in Los Angeles. At Edition, they meld those childhood memories with the hedonistic excesses pioneered by Seoul gastropubs. Think “pork belly lollipops” served in a bubbling vat of molten cheese and bulgogi sliders topped with fiery jalapenos. It’s a menu perfectly calibrated for soaking up soju and some American-Korean fusion. Hear “Korean” and “chicken” in the same sentence and your mind goes straight to fried. Goobne, one of the biggest chains in Korea, would like you to think about their oven-baked chicken instead, which is endorsed by K-pop icons Girls’ Generation. There’s no guarantee that their chicken will give you pop-star-slim thighs, but it’s definitely crispy, juicy, and powerfully flavorful. 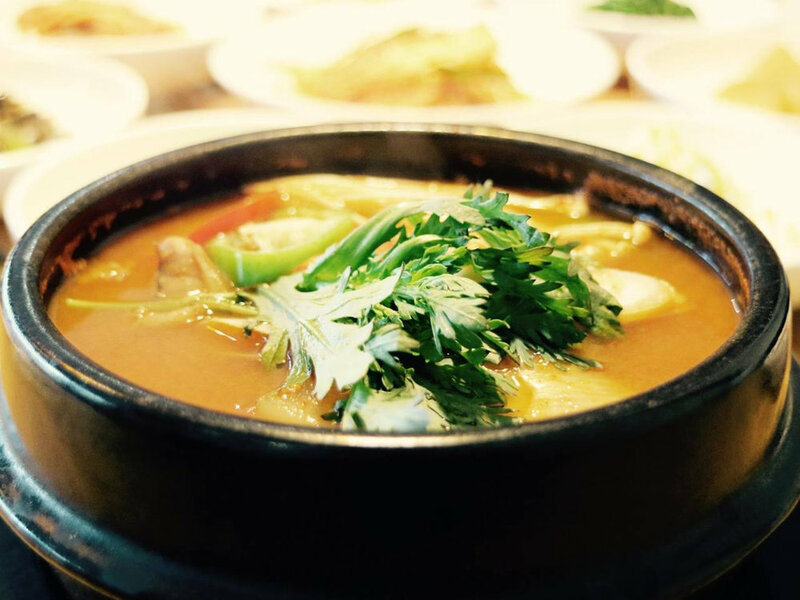 Myung Ga has two equally tasty locations in Hong Kong, but our vote is for the branch in Tsim Sha Tsui. It’s located on the 27th floor of the iSquare skyscraper, so you get a view of the Hong Kong Harbour like an extra-special free banchan. Most patrons flip straight to the barbecue menu, which features not only the usual galbi and bulgogi, but also ox tongue, Jeju Island black pork belly, and fresh abalone. Kick back a few beers and tuck in some platefuls of meat while you’re at it! Arirang is the granddaddy of them all: the oldest Korean restaurant in Hong Kong, open since way back in 1964. They recently opened a new space in Tsim Sha Tsui featuring plenty of the “smokeless” barbecue tables that they insist they invented. Barbecue is their specialty, but they also do hearty soups. If you’re feeling under the weather, go for the samgyetang, a ginseng chicken stew that has been known to cure everything from hangovers to the common cold. Oh, one more thing: there lunch sets starting at just $78 are pretty much a steal! Jennifer is a freelance writer and editor currently eating her way across Asia. She’s always on the lookout for good food and the stories behind it. Get the latest restaurant openings, reviews, and more!